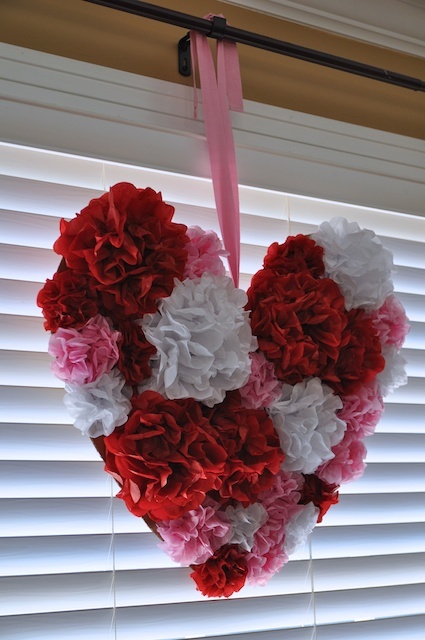 This year I was inspired by the heart decoration on the cover of the February Martha Stewart Living magazine and decided to make one for myself. 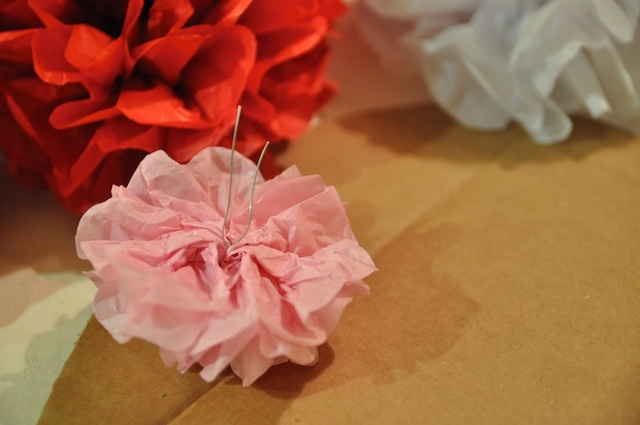 It was fairly easy to make…making the tissue paper puffs took the longest, but I just made them while watching a movie. 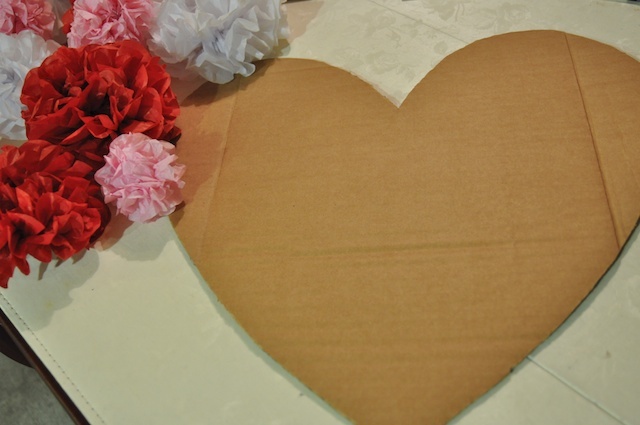 To start, I cut out a heart shape from an old cardboard box that I had. I just eyeballed the shape, but I think it turned out ok. 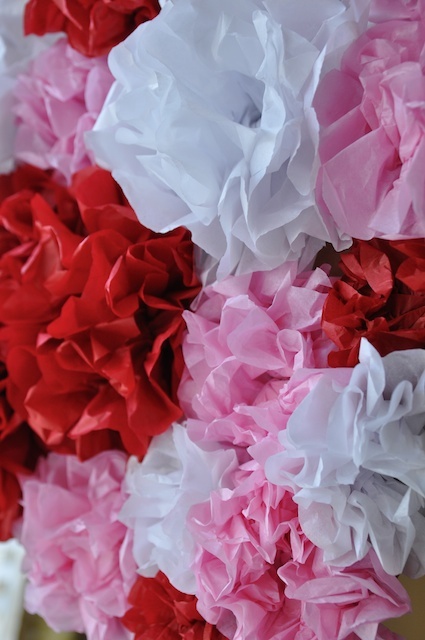 I also made a bunch of different puffs out of tissue paper. Basic directions for doing this are here. 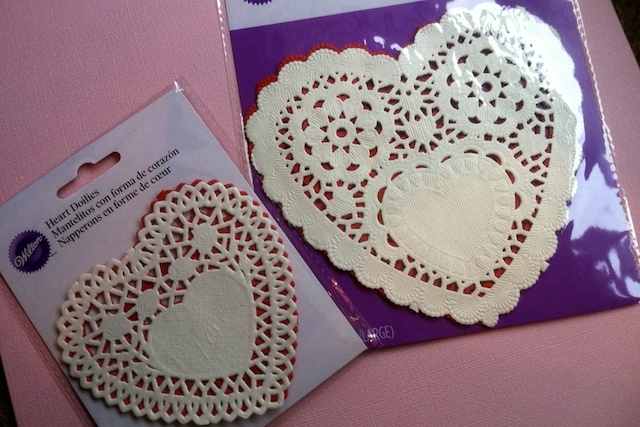 I crimped the middle with some floral wire and made sure to leave some longer ends so that I could use those to attach them to the cardboard heart. I also didn’t open them up all the way (like you would if you were making some to hang from the ceiling), just halfway so that they looked more like a flower. 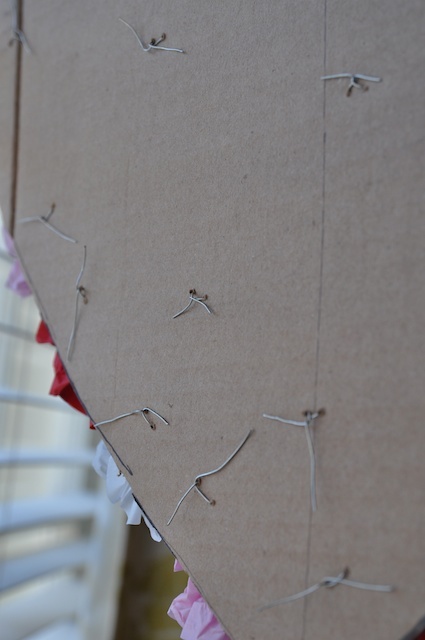 I used a small nail to poke small holes in the cardboard and pushed the wire ends through, twisting them on the back side of the heart. Since I made the puffs several different sizes, I thought it ended up with a nice 3-d texture on the front. Overall, I love it! 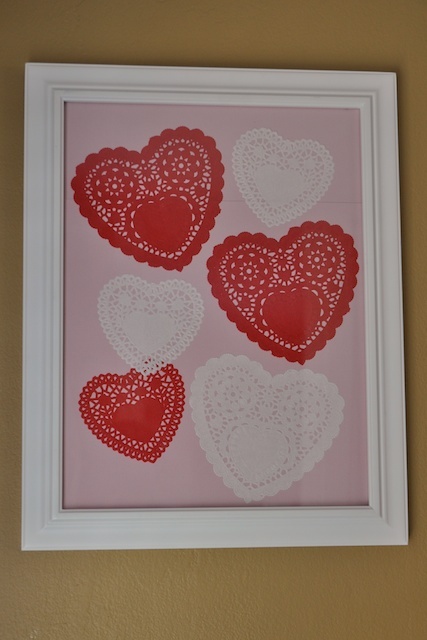 For this, I used some heart-shaped paper doilies and 3 pages of pink scrapbook paper. Since my pictures are 12″x 16″, I used one whole piece for each and cut the third in half to piece together enough to fill the entire frame. 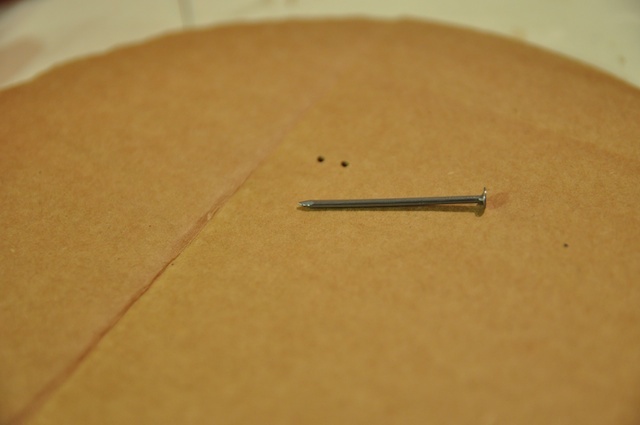 Doing it like this did make a seam, but I covered it up with the doilies and it’s hardly noticeable. I thought these turned out really cute too!